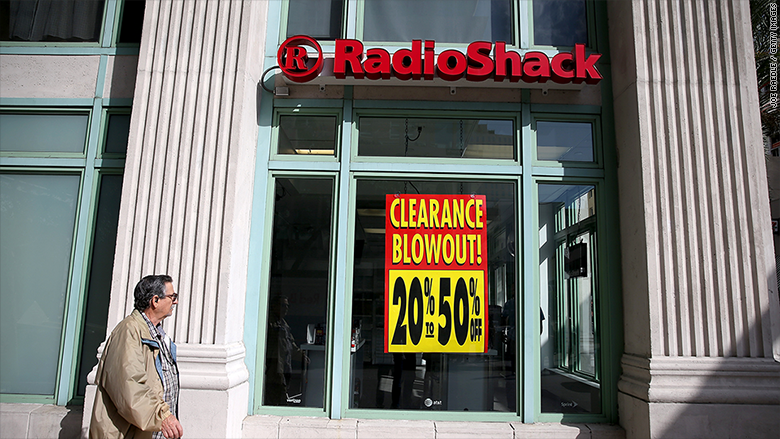 If you're one of the 117 million people who've shopped at RadioShack in recent years, your data is up for auction on Thursday. This isn't a few hackers trying to cash in. It's the bankrupt electronics retailer trying to raise money to pay off creditors. As part of its bankruptcy auction process, RadioShack (RSHCQ) is auctioning off its customer data, which includes personally identifiable information on those 117 million customers. But attorneys general of several states, including RadioShack's home state of Texas, have filed objections to the auction, saying it violates the promises RadioShack made to its customers before its bankruptcy. Paxton's motion said RadioShack's attorneys have told his office that the data includes consumer names, phone numbers, mailing addresses, e-mail addresses, and in some cases purchase history. Paxton argues that the sale of that data, even in a bankruptcy auction, constitutes a ""false, misleading, and deceptive business practice." A spokesperson for RadioShack, which continues to operate its stores during the bankruptcy reorganization, did not immediately respond to a request for comment on the customer data sale.